This pathway provides guidance on the investigation of patients with symptoms and / or signs of suspected colorectal cancer. Image 1 (CT Colonography): Interior view of the colon showing a small colonic polyp. 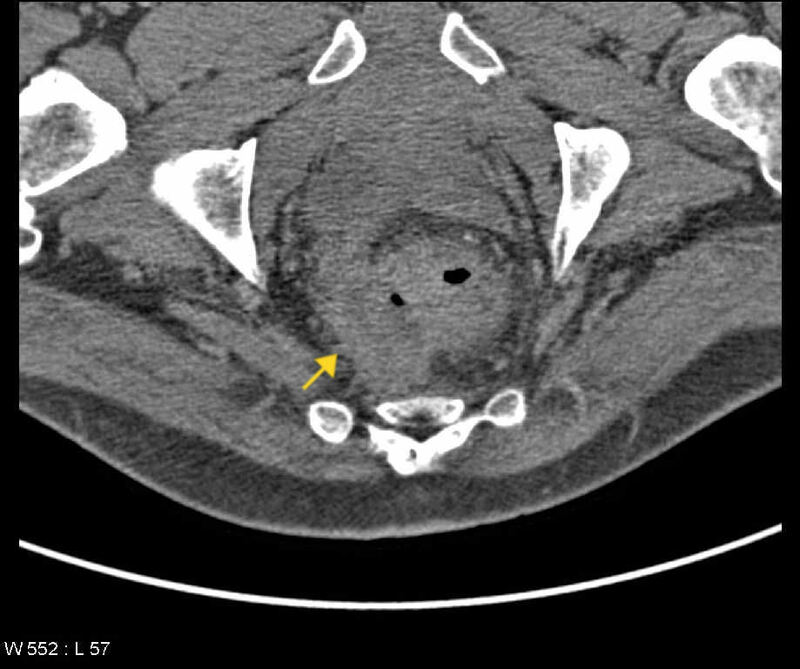 Image 2 (Computed Tomography): Thickened rectal wall with invasion of the mesorectal fascia on the right side (arrow). The mesorectal fascia on the left appears normal. 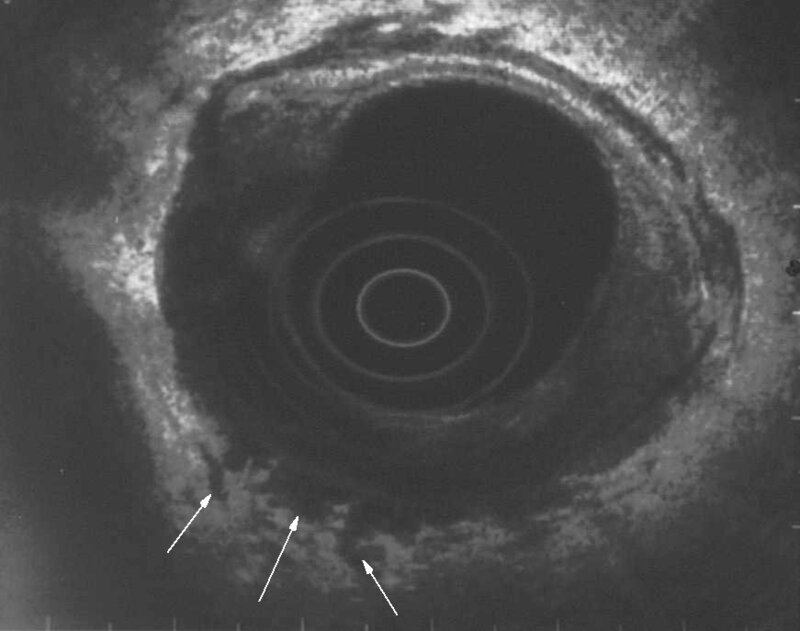 Image 3 (Endorectal Ultrasound): Rectal carcinoma with infiltration into the perirectal fat (T3 lesion). 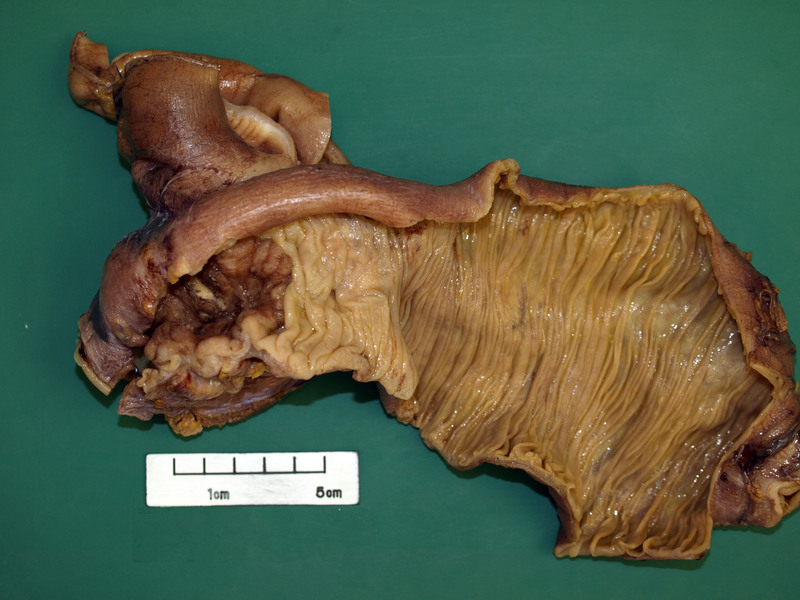 Image 4a: Right hemicolectomy specimen showing a large ulcerated and exophytic caecal carcinoma. 4b Image 4b (H&E, x2.5) and 4c (H&E, x10): Histological sections showing a moderately differentiated colorectal adenocarcinoma composed of malignant glands invading into the bowel wall (blue arrows). 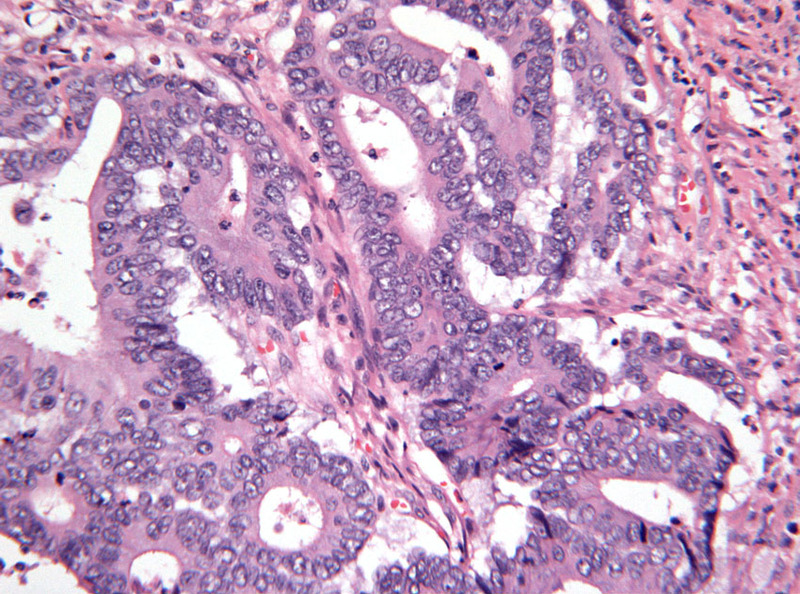 The glands are lined by cells showing marked nuclear atypia. 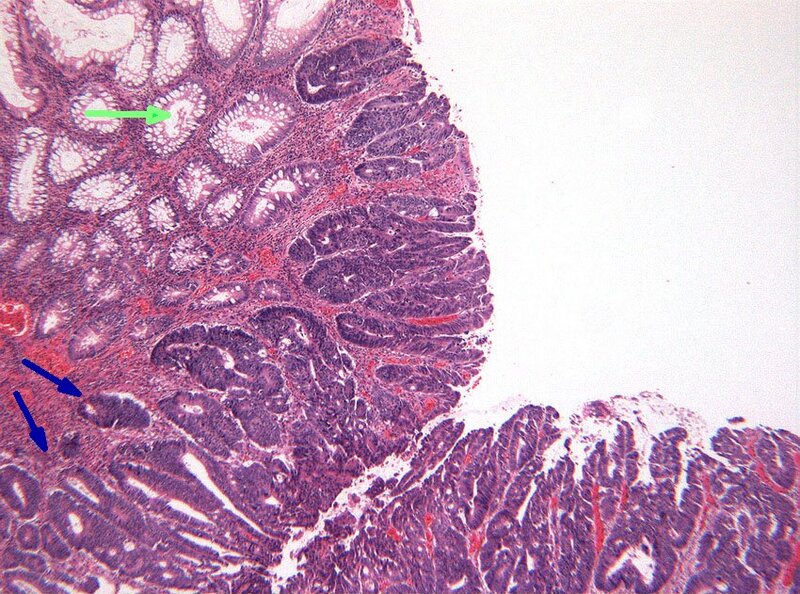 Normal colonic mucosa is included for comparison (green arrow).